Registration: Registration is closed. Please email info@BIA.net to attend. Thank you. 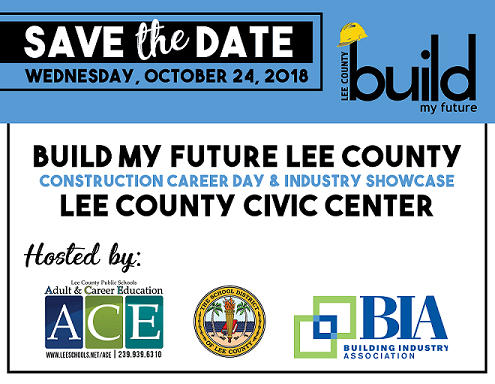 The Lee Building Industry Association will host the inaugural Build My Future Lee County Construction Career Day & Industry Showcase in conjunction with the Lee County School District and Adult and Career Education (ACE) on October 24, 2018 at the Lee Civic Center. Build My Future Lee County will provide local students the opportunity to explore construction industry careers through this interactive industry showcase. Participating schools will send up to 1000 students for a day of interactive hands-on activities provided by our members and industry partners. Please note: exhibitor registration closes Monday, October 8th at 5 p.m.
All net proceeds will be used to fund education & training in construction careers for Lee County students. Check out the video below from the 2nd Annual Build My Future event hosted by the HBA of Greater Springfield in Missouri! 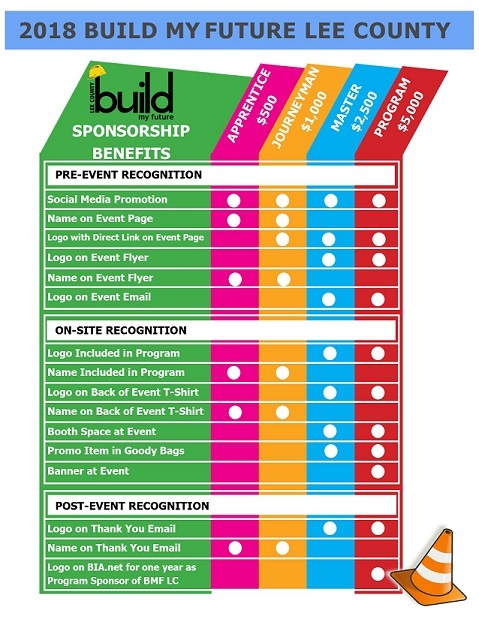 Interested in sponsoring? Take a look at the opportunities below! See Build My Future Information Packet for registration!